This article will walk you through everything you'll need to enter as you upload a theme for the first time. 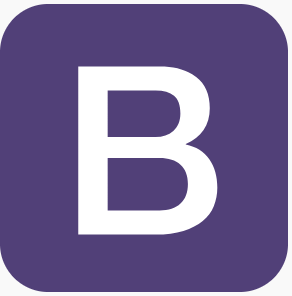 Once you've uploaded your theme it will go through a quality review with the Bootstrap team and feel free to read up on what that entails in this article. Once you've been approved for a Seller account you'll be able to click on your avatar in the upper right corner and click Submit a Theme. If you're already on the Seller Dashboard you can go to Themes > Submit a Theme. You'll see a form to fill out and we'll walk through each step. At launch we will have six categories, Admin & Dashboard, Landing & Corporate, Application, Portfolio & Blog, E-Commerce & Retail, and Specialty. We've based these on the categories of themes that are part of the selected themes at launch but you can expect to see more categories added over time. Getting paid fairly for your work is of the utmost importance! As a refresher you can go to learn more about the commission split. If you're struggling to price your theme we would recommend taking a look at other themes, the level of complexity, and how they're pricing them. If you're still stuck feel free to reach out to the Support team and we'll help! For the Standard License price you can set it to anything $39 and above, though we'd suggest going no higher than $99 as we've found that's the sweet spot for conversions. The Extended license price has a $99 minimum, but it's a bit more open ended. A good starting point is 10-40x higher than your Standard license. During our launch phase our only requirement is that your theme is built on v4 beta or ideally the stable build. From experience, we've seen that customers want to build on the most up-to-date version, now v4.0.0 so we would recommend upgrading to that if you're not already building on it. This one is also fairly straightforward. If it's your first time uploading this theme start with 1.0 and increment your way upwards as you release updates. If you're theme is non-exclusive you'll want to match your current versioning scheme so there is no confusion between sites. Your description should be an overview of your theme, the purpose, and any differentiating features or components. Any product claims made in your description (or anywhere in your theme pages) must be true. You can definitely go further into detail and list out all plugins, the stack, etc. but a human readable description is the most important thing here. The editor here does allow for rich text customization, so have fun! The next step in the process determines the commission you receive from the purchases of your theme. The drop-down is a binary choice so simply select if you'll be selling this theme only on the Bootstrap Themes or if you'll be selling it on other marketplaces, your own website, or somewhere else. We do reserve the right to take a look around the verify this, so just let us know if it changes and we'll be happy to update the commissions accordingly! We require all themes to have a live preview so prospective customers can interact with it, try any components, etc. Your preview must always be the current active version and please don't remove our preview frame. Finally, no referral links of advertisements are allowed. Also, we discourage source obfuscation as we've found it has a direct correlation to a decrease in sales. Please be sure your live preview loads in a reasonable time frame. We don't have an exact target to hit but if it loads too slowly we will send it back after review to fix that up. We just want a clean screenshot of your theme without any marketing information in the way. We appreciate the hard work that went into that "Top Theme" banner, but we want themes to stand on their own merit rather than slick marketing. The image must be a JPG or PNG and the recommend dimensions are 1200px * 900px! Please keep the ratio to 4:3, otherwise we'll crop it to fit. Finally, it's time to upload your theme, simply upload your .zip file that's less than 100mb and you'll be ready to preview your listing! If you'd like some guidance on how to set up your .zip file check out or handy article on it. You're almost done! Simply tap the big purple "Preview Theme" button to go to a preview of what your theme will look like. Give it a once over, edit as needed, and then finally hit the "Submit For Review" button in the upper-right corner to send it off to be reviewed!